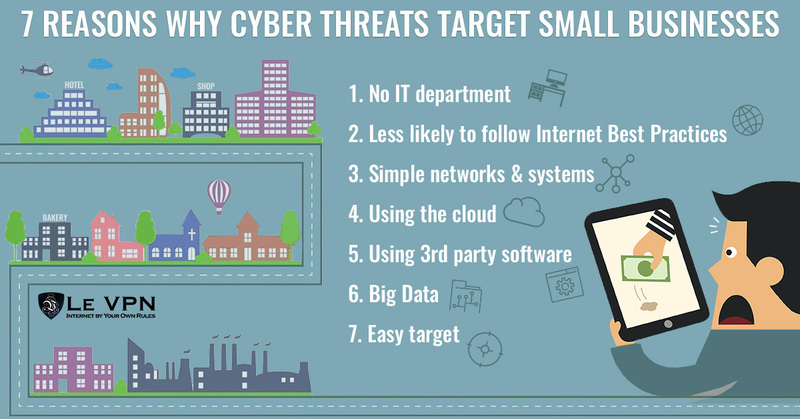 Cyber Security Awareness Month Week 2: The workplace. If you didn’t know already, October is the cyber security awareness month. The purpose of observing the cyber security awareness month is to spread awareness about online security. The truth is, cyber criminals are everywhere. At the same time, if you’re almost always connected to the internet, you are vulnerable to them. The cyber security awareness month is broken into five weeks and each week will look at different aspect of cyber security. Here we will talk about the second week. The second week (October 9th to 13th) of the cyber security awareness month is about online security in the workplace. The theme is “Cybersecurity in the Workplace is Everyone’s Business”. It must also be mentioned that Le VPN is running a special promotional offer this month. Under this special offer, you can avail Le VPN services for 2 years at 69 USD or 2.87$/month. At your office, the network is larger and there is sensitive information at stake. This information, if leaked, might cost your company billions. Hence, it is always better to take proper measures at the workplace to avoid such online threats. Hackers are always at prey that you make a mistake and they can do their job. Therefore, a simple security slip up at employees end can result into a huge loss to the organization. Opting for a secured internet connection is one way to ensure the online security. The concept of a virtual private network or a VPN is a very easy and reliable way to make sure that your workplace is secure. In the section below, we will deal with online security and android devices. How To Connect An Android Device To A VPN? There might be an instance where you aren’t at home or in your office, but you need to access a particular document or file stored in your computer. That wouldn’t have been possible even a few years ago, but now, a Smartphone makes our lives a whole lot easier. To put it simply, a Smartphone is basically almost like a PC. You can store your huge files and even share them easily. Now most of the commonly used android devices today have in built settings for virtual private networks. Above all, you’ll find it in the settings section of your phone. Click on wireless and network option and you will find something called “set up a VPN connection”. This is precisely why VPN android is so easy to use. And Le VPN offers a customized VPN app for Android phones. This makes things a lot easier for you. What you must remember is that there are several kinds of VPN protocols. Now the kind of protocol you would be using would depend on the kind of connection you’re using. If you aren’t entirely sure of what options you should go for, you could contact a professional or your mobile service provider for help. If you are using a virtual private network that requires certificates, then you will have to download the proper, authentic certificates in order to complete the installation process. These certificates help in making sure that your connection is secured at all times and there are no chances of hacking. If you are connecting to a network in the workplace, don’t worry. Your company is probably already using a secure VPN connection that paves the way for remote access. Therefore, you would have to connect your Android device to this particular VPN server. If there is a router in place, that makes your work even easier. That way, you can access your work computer through your Android device anytime, anywhere. In light of the cyber security awareness month, this is an important step towards online security.